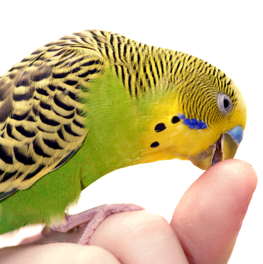 Your bird’s health greatly depends on how well he adapts to his environment and how safe, secure and stress-free he feels with his owners. 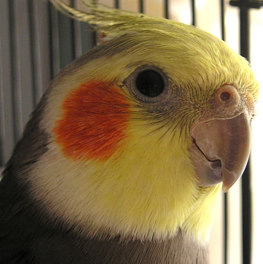 Pet birds require spacious cages for both physical and psychological health. Small, flighted birds need room to fly to and fro. Larger birds require space for wing flapping, playing with toys and performing avian gymnastics. Long-tailed species require cages tall enough to comfortably accommodate the long feathers. Suitable birdcages should be made of sturdy, non-toxic materials, including any paint or finish. The cage should be as escape- and intrusion-proof as possible. Taller birds need cages high enough to provide plenty of tail clearance. Birds with relatively wide wingspans need a cage that will allow them to stretch out. Smaller birds such as finches require space to spread out; a larger cage will provide them with enough room for limited flights. The spacing of the bars should be proportional to the size of the birds inside. You should provide the right furniture for your birds. Perches made of natural wood are ideal; ensure that the wood is parasite-free and clean. Water and food bowls should be wide and shallow. The substrate should be under a wire grate that prevents the bird from touching it with its feet or reaching it with its beak. Birds are extremely sensitive to fumes and those emanating from various cooking and cleaning procedures could harm your bird. Don’t place your cage in drafty areas, near air conditioning, within reach of small children, or other household pets. 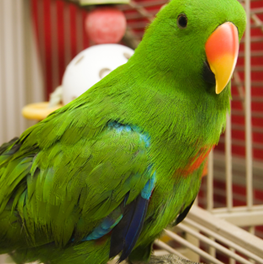 Every once in awhile, provide your bird with access to natural sunlight and fresh air, although overexposure will cause it problems. If you do use newspaper, use those that are printed with soy-based inks to avoid any possible toxic chemical substances in the cage.